The Mutua Madrid Open is a Masters 1000 and WTA Premier event. This makes it one of the major tennis tournaments on tour only behind the Grand Slam and year-end tournaments. By using the latest technology and aiming for constant innovation, the Madrid Open tries to give players and the many tennis fans coming to the Caja Mágica the best experience. Below are five exciting features the Mutua Madrid Open has introduced. The Spanish tournament hosted Tie Break Tens the day before the official start of the tournament. Tie Break Tens is a new and exciting format in tennis that sees players playing super-tiebreaks (up to ten points instead of seven) over the course of a few hours. A knockout competition determines the champion. Eight men and women participated in Madrid, including star players such as Kuznetsova, Muguruza, Wawrinka and Berdych. During and between the tiebreaks (matches) there were plenty of interviews with the players, giving fans some fun quotes and insights. Several countries broadcasted the event live, including Great Britain, the US and Spain. Other fans could enjoy the almost four-hour spectacle through Facebook Live. Halep and Dimitrov came out as champions and each received a quarter of a million dollars. Both donated $50,000 to the Mutua Charity against domestic violence. The Mutua Madrid Open holds the sixth edition of the Mutua Madrid Open Virtual, a virtual reality tennis competition with €10,000 prize money. Other prizes are an exclusive tour through restricted areas of the Caja Mágica and free entry tickets. Being an innovative tournament that uses the latest technology, the players play VR Tennis Online, a game that has only debuted in Japan. This virtual tournament is a mix of virtual reality and esports. Although both have found their way into mainstream sports, tennis has not yet seen a lot of it. That the Madrid Open already holds its sixth edition is testament to their investment and early adoption of new technology. Fans at the Mutua Madrid Open can take their own picture with the BriziCam, robotic cameras that hang high up above the main court. By going to the tournament’s official app and entering their seat details, fans can control the BriziCam. Once activated, the application makes a framed picture and immediately sends it to the fan’s mobile device to give them a souvenir. The FanCam provides something valuable and unique to fans visiting the tournament. At the same time it gives fans an incentive to download and use the app. The tournament makes great use of social media channels to engage fans and activate partnerships. There are two daily live broadcasts (in Spanish) on the tournament’s Facebook channel that preview and review everything that goes on. They also use Facebook Live to give fans from around the world live access to practice sessions. They do not only share plenty of interesting content on their social channels, they also have a lot of promotions with their partners digitally. For example, fans can win a trip to Italy by making a selfie at a booth on-site. All the social media chatter with hashtag #mmopen is collected in the SocialHub on the tournament’s website. The chatter about the players is analysed and presented in a Social Leaderboard. Together with some of its partners the tournament launched a Twitter tennis match. Fans had to use the hashtag #MutuaTweetMatch and get their friends involved to tweet back and forth. With a chance to win tickets to the tournament, this is a clever way to integrate tennis and social media and to generate a lot of tournament related tweets. These are just a few of the features the Mutua Madrid Open has introduced to be at the forefront of innovation and give fans and players a better experience. Fans went crazy for the new technology; over the course of 9 days, fans took over 18,093 photos, reaching over 2.8 million people on social media. 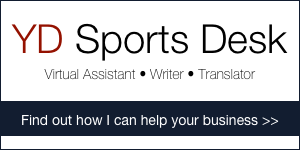 It’s exciting to see your expertise in the sports tech space. I look forward to hearing back from you soon. Thank you Vanlizza for sharing the video and engagement numbers. Really interesting! Love the concept of BriziCams.